Launching a new series of phones can be done it two manners - launch one model, concentrate on its software support or launch different variants so that a customer gets the option to chose according to his/her needs. While companies like Apple and OnePlus belong to the first category, Asus belongs is at the other extreme end. Repeating their strategy, Asus has launched a total of six different variants of its Zenfone 4 series, all in a day. The new series includes Zenfone 4, Zenfone 4 Max, Zenfone 4 Selfie and a Pro version for each of these three smartphones. Let's have a look at all the variants, their specifications and distinguishing features. 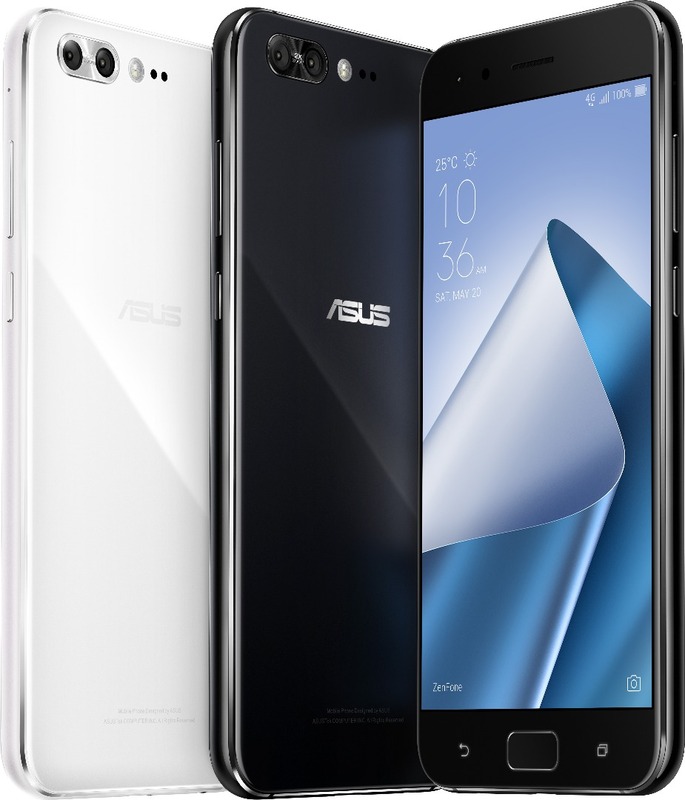 The Zenfone 4 features a 5.5 inch IPS LCD display with FHD (1920x1080) resolution and has 2.5D Gorilla Glass on both sides sandwiching the aluminium frame. Depending on the variant you chose or Asus launches in your country, it may have a Snapdragon 630 or 660 and RAM up to 4 GB or 6 GB. Internal memory is 64 GB, which can be expanded via external card. A dual camera setup resides at the back of the camera, a 12 MP f/1.8 primary camera with phase detection auto-focus and optical image stabilization is accompanied by an ultra-wide angle 8 MP camera. The front shooter is an 8 MP f/2 sensor. Dual front-facing speakers is also included. Other usual pack of features are dual-SIM support, USB Type-C and a fast charging capable 3300 mAh battery. 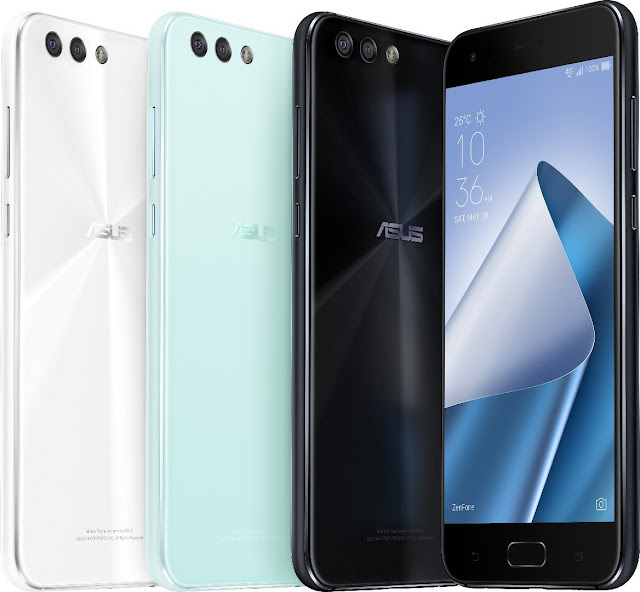 Zenfone 4 will be available in Moonlight White, Mint Green and Midnight black. This is the flagship device of the Zenfone 4 family. Though the display resolution remains the same as Zenfone 4 at FHD, the technology used is AMOLED. The 2.5D Gorilla Glass at the front and back and aluminium frame are also similar to the Zenfone 4. Like other flagships released in the second half of 2017, Zenfone 4 Pro also includes Snapdragon 835 processor. Storage capacities are 64 GB or 128 GB with 6 GB RAM. The sensors used for the dual camera setup are a 12 MP f/1.7 one with OIS, PDAF and laser autofocus and a 16 MP telephoto lens. The front camera has an 8 MP f/1.9 sensor. Zenfone 4 Pro will be powered by a 3600 mAh battery with support for fast charge. Features such as dual stereo speakers, fingerprint scanner, USB Type-C and support for dual-SIM are also included. It will be available in Moonlight White and Pure Black. Zenfone 4 Max has a 5.5 inch IPS LCD display. Powered by the mid-range chipset Snapdragon 425 or 430, 2/3/4 GB of RAM, 16/32/64 GB expandable storage as options. A 13 MP f/2.0 sensor and 12 mm wide angle sensor makes up the dual camera arrangement. Front camera is 8 MP. The highlight of Max series is the high capacity battery, at 5000 mAh. Type-C USB is replaced by microUSB, and other features are the same as Zenfone 4/ 4 Pro. Deepsea Black, Sunlight Gold and Rose Pink are the color options. It's almost similar to Zenfone Max with camera and memory being the only major differences. Dual rear and front cameras have 16 MP sensors, while internal memory is 32 GB with only 2 or 3 GB of RAM. Zenfone 4 Selfie also has a 5,5 inch IPS LCD with 2.5D glass. Under the hood, it will have Snapdragon 430 chip with 4 GB RAM and 64 GB expandable storage. Selfie series won't have dual cameras to the rear, so a 16 MP camera is the only sensor present at the back. While there is no dual cam at the rear, the selfie focused Zenfone 4 Selfie has a dual camera setup to the front. A 20 MP f/2.0 sensor is coupled with an 8 MP wide angle sensor. The smartphone has fingerprint scanner, dual SIM support, microUSB port and a 3000 mAh battery. 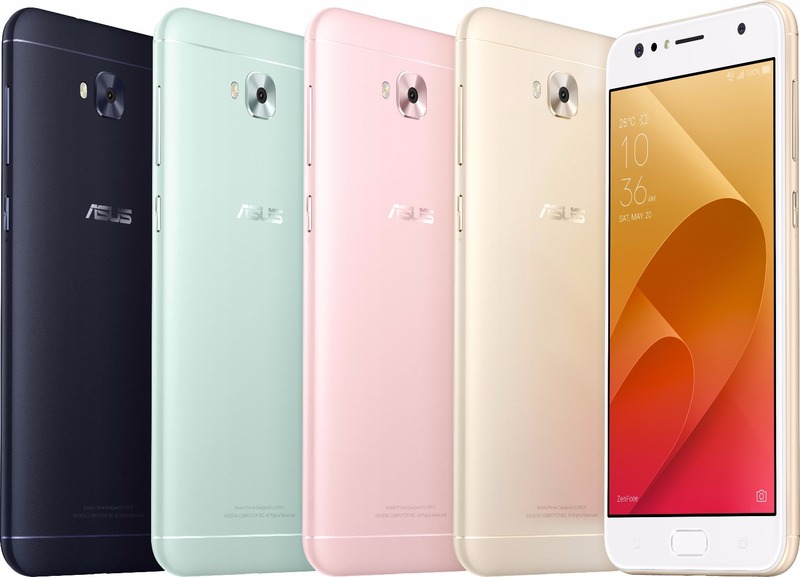 Zenfone 4 Selfie will come in Deepsea Black, Mint Green, Rose Pink and Sunlight Gold. 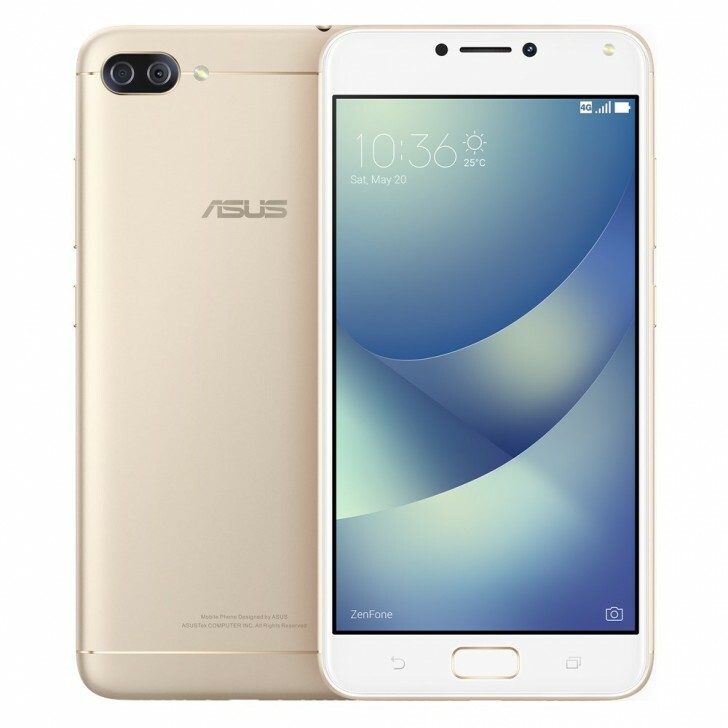 A true Pro version of Zenfone 4 Selfie, the Selfie Pro has a 5.5 inch AMOLED display with FHD resolution. Snapdragon 625 processor will power this device, with RAM options of 3/4 GB and 64 GB of storage. The front camera is 24 MP (Actual sensor - 12 MP) and 5 MP combo. Primary camera is 16 MP with dual tone flash. 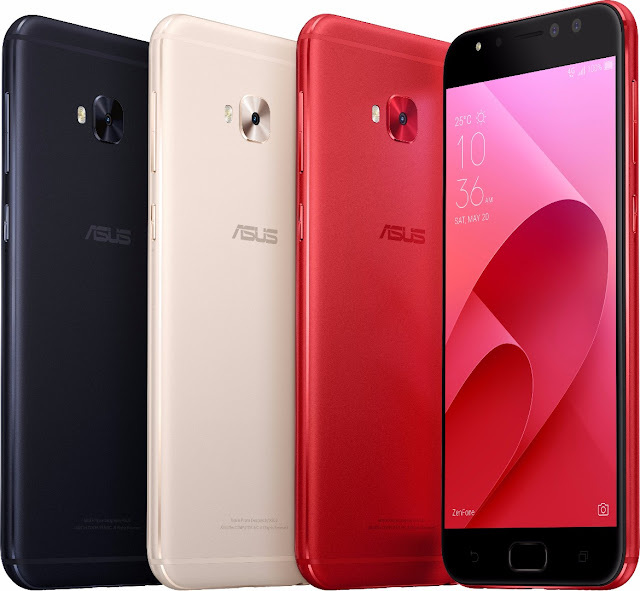 All the other set of features present in Zenfone 4 Selfie are present in the Pro variant, while the available color options are Deepsea Black, Sunlight Gold and Rouge Red.